The Nutcracker Musical gets reinterpreted every year, but it always attracts middle-class families hoping to entertain their children. How Do You Say Nutcracker in Russian? The Germans like it dark. The Russians like it athletic. But from Warsaw to Washington, the Christmas-time production always reminds me of childhood. WARSAW—I ran into my friend Dorota at the Nutcracker Suite a few days ago. As the orchestra began to play the familiar bars of Tchaikovsky’s overture, she sighed. “I’ve seen it every year for the past 10 years,” she confessed. “Finally I thought I could skip it this year. But then my daughter got a part in the children’s chorus. ” I nodded in sympathy. Then the curtain rose, revealing a spectacular piece of scenery: the Vistula River and the snow-covered skyline of 19th-century Warsaw in the background. Snow was falling, and children seemed to be skating on what appeared to be real ice. We sat back to watch. As always, I waited to see how they would do it: How the Polish National Ballet would frame the story, design the costumes and the sets, and elaborate upon what is—let’s face it—a pretty thin plot. I’d seen its version several years ago, but this one was new. The ballet brought in a Dutch choreographer to redesign the whole thing, to change the dances and think up some new twists to fill the interminably long second half. 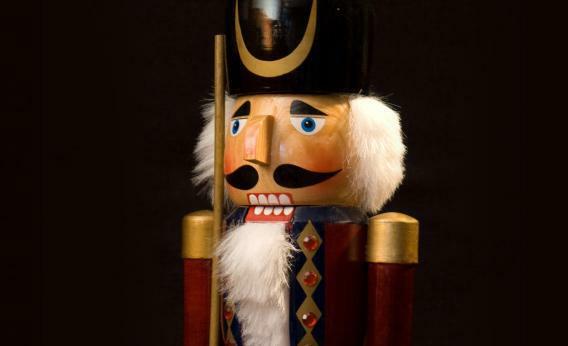 In the course of raising two children, I’ve seen the Nutcracker many, many times, performed in many, many ways. When they were very young, we watched a Washington Ballet version for several years running. This was pretty much the Nutcracker as I remembered it from my own childhood, complete with a pre-teen corps de ballet. Clara wore her nightgown throughout the performance and threw her shoe at the Mouse King. That’s what I thought the Nutcracker would always be—until we found ourselves in Berlin one Christmas and went to see it at the Deutsche Staatsoper. I took my children and a friend’s son, promising all of them a battle between toy soldiers and the mice. Instead, we got a dark, strange and distinctly Germanic version of the story, filled with allusions to a possible incestuous relationship between Clara and her godfather, or maybe between the godfather and Clara’s mother. There was no battle at all, presumably because that would offend the antiwar sentiments of the Berliners. The children were disappointed—but so, presumably, are the children who went to see the Bayerische Staatsoper version this year, which offers a Nutcracker that “boldly comments on the state of our society.” So are all of the other children who go expecting sugar plum fairies and get, instead, dark ruminations on modern adolescence. There are, of course, other ways to deal with the production. In Russia, the focus is on the extraordinarily athletic dancers. I once saw Mikhail Baryshnikov dance the Nutcracker and still remember how he leapt into the air and appeared to hang there for several seconds. The Polish version, at least the one we saw last week, provides extraordinary sets, gorgeous costumes, and a plot revolving around a magic lantern that all of the characters enter, somehow, to dance out that long second act. But while the ballet can be designed and choreographed in different ways, the audience never changes. Wherever and whenever I’ve seen the Nutcracker, it’s always at Christmastime, and it’s always in a theater filled with children. Many of the little girls, whether in Warsaw or Washington, are wearing velvet dresses. Many of the babies are too small to be there and eventually have to be taken out. All of the parents appear to be middle-class, slightly frumpy—and very determined to give their children at least this one experience of high culture before they disappear into the maw of pop culture forever. What else can we do? This ballet has a lot more riding on it than one might think. The lucky ones are there to see their children perform. A few weeks ago, even Barack Obama went to see his daughter Sasha dance the part of a mouse at a performance in Bethesda, Md. My personal experience of mouse costumes makes me wonder whether he managed to recognize her.